Why are you going Early Access? Totally Accurate Battle Simulator has been in active development since late 2016, during that time we’ve had tremendous support from our community. The players have been helping us build this game from day one with suggestions, testing and feedback. We want to go Early Access to make sure they have a more direct way to participate in finishing the game and to get the game to them sooner. Will you port the game to consoles? Yes! The plan is to port the game to consoles as soon as it’s out of early access! What’s in the game right now and what’s to come? Why isn’t a certain unit in the game? The game has changed a lot during development, some units from the alphas and units you’ve seen on youtube may not be in the game, we will release a list of units for each update so that you can see what we’ve added. Some units will later be added as misc and others we hope that you can make your own version of in the unit creator. What will be added before full release? We plan to add at least five more factions as well as a unit creator, faction creator, battle creator and a campaign creator all with workshop support. We have most of the base-game finished already and aim to have frequent updates with content and features. We don’t have a totally accurate prediction of how long we will be in Early Access as we have learnt that much can change along the way, but the current state of the game makes us confident that we should be able to go full release within a year. It seems the game launcher won't recognize your monitor. Please go into your computer's display settings and change the screen resolution and then change it back. If it doesn't work, let us know. Please email support@landfall.se and we’ll get back to you as soon as we can. Where can I see what you are working on? Will the game be on Linux? There are no current plans of making a Linux version of Stick Fight. Will the game be for PS4/Switch/Xbox? Yes! We have ports for console on the way. I am unable to join a game/I only get a circle with a cross when I join quick match. The issue is most likely due to either your internet connection or your firewall or the person you're playing with's. Check up on your connection, disable your firewall and restart your computer and the game before you try to re-enter quick match. "I had the same problem. When I verified the integrity of the game files it gave an error on one file which was downloaded again. After this quick match worked for me, so try it too! 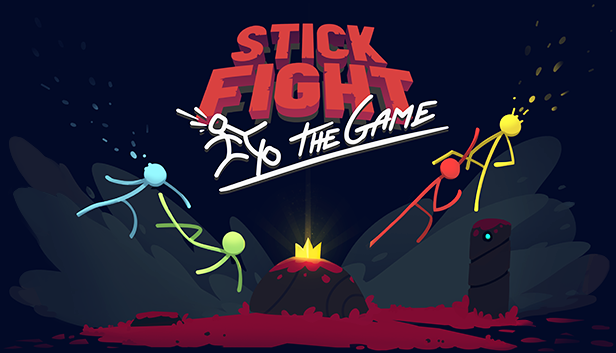 In your library in steam, right click on stick fight and press properties > local files > verify integrity of game files"
My stick dude/My friends stick dude doesn’t move! This is also most likely to the firewall, please disable it and restart the game/steam. Is it possible to buy a 4-pack of the game? What are the controls of the game for keyboard? WASD-keys for moving/jumping, right click to block, left click to punch or shoot and F for throwing weapons. Enter is chat. Yes! There will be some updates and bug fixes. Will there be single player/AI? There are no current plans for a single player mode in the game. My controller spawns two stick dudes! Plug all the controllers in beforehand before starting the game, if you use a wireless one, connect it to your pc before starting the game. After connecting them up and booting the game, press the A button in sequence (so not all at once) and it should work fine, if not, let us know! Restart your computer and restart the game and steam as an administrator. Are you not working on Totally Accurate Battle Simulator anymore in favor of TABZ? We're still working on TABS, don't you worry! TABZ was our April Fool's Day joke for 2017, but instead of tricking players into thinking we made a fake game we made a free game you can actually play. TABZ is a first person shooter, multiplayer zombie survival game that we made in ten days. How do I download TABZ? There is no current way to download TABZ. Will you continue working on TABZ? We do not currently have any plans of developing TABZ further and will focus on finishing TABS. What are the controls for TABZ? You most likely have to update your graphic drivers! If you have windows, you may have to install the latest version of DirectX, more information about that here. Why doesn't TABZ work on my Mac/phone/tablet/other device? TABZ is only available for PC.